Many years ago I was taking a Bible Literature course in college while also teaching a daily Bible study class for high school students. This nearly total immersion in the scriptures was enlightening and inspiring. In the literature class we studied the stories the way we might study a Shakespeare play or a Victorian novel, by looking for character foils, juxtapositions, plot twists, metaphors and overarching themes. In the church setting we discussed our relationship with God and applied principles of righteous living to our own lives. These diverse experiences, one focusing on literary archetypes and the other focusing on devotion, opened my eyes to the richness of the stories and characters found in the scriptures. 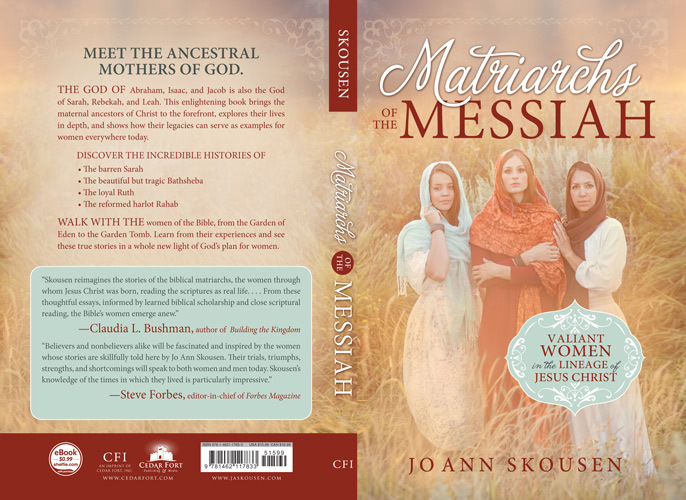 Biblical commentaries traditionally focus on God’s dealings with the prophets, kings and heroes who led His people, yet women often played profoundly important roles as well. In many ways, the Bible is a story of families torn apart by jealousy, bitterness, and sorrow, then brought together again through the healing power of forgiveness and understanding. It is a story of sibling rivalry, but also a story of siblings who made amends. Women stand firmly at the center of these stories, using their feminine strengths to encourage, support, plot and guide. This is especially true of the dozen valiant women identified specifically as Jesus’s mortal ancestors through his mother Mary. As mothers they received guidance for their families just as surely as the prophets received guidance for the church. These women also managed businesses, oversaw domestic manufacturing, negotiated major migrations, and gave counsel in political affairs. Jesus Himself shattered the customs of the culture in which He was born when he encouraged women to come out of the kitchen and join in the gospel discussions (See Luke 10:38-42). He treated every woman—even those who were outcasts—with the utmost dignity and compassion, thus establishing the proper standard of respect and acceptance. One of the most surprising insights I discovered while researching this book is that these women came from vastly different backgrounds. Sarah, Rebekah and Leah were cousins in the family of Abraham, but Tamar, Rahab, Ruth and Bathsheba were cultural outsiders who were grafted into the lineage of Jesus Christ through marriage. They were quick-witted, courageous and noble as they exercised free will and choice to make decisions that would impact future generations. Many used surprising, roundabout methods to achieve their goals. Their stories are fascinating and surprising. I hope followers of my Odds & Trends column will watch for the book when it is published March 12. 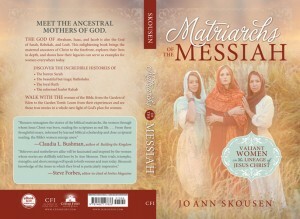 Available in Deseret Bookstores and Costco, as well as online at Amazon and cedarfort.com. Editor’s Note: Reviews of “The Big Short” directed by Adam McKay. Plan B, 2015, 130 minutes; and “Joy,” directed by David O. Russell. Annapurna, 2015, 123 minutes.